The owner of Hannibal Collectibles is Kevin LaMar Sr., an Army Veteran that served Operations Restore and Continue Hope in Mogadishu Somalia in 1993. Military history is a passion of his that is reflected in his work as a Life Coach working with returning veterans and as an author of three books. 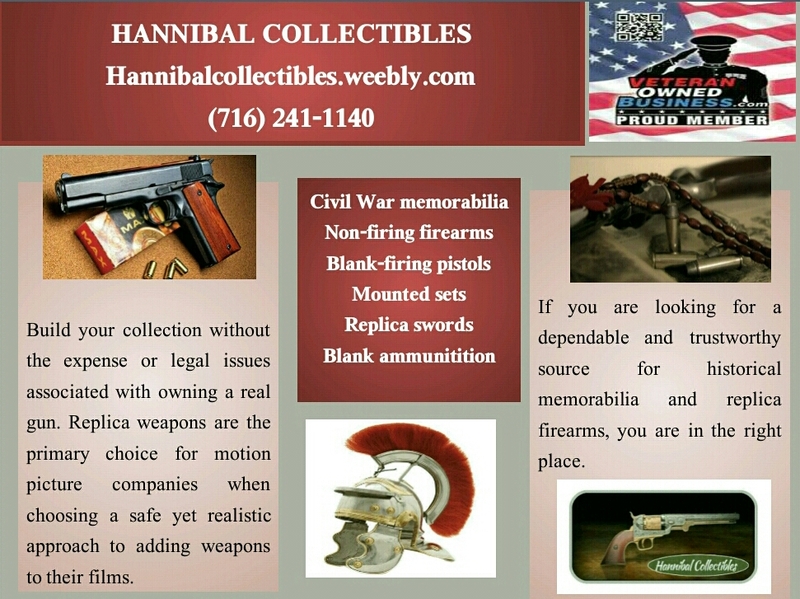 Hannibal Collectibles does not advocate violence and is a strong advocate of the rights that are afforded under the Second Amendment. After all, so many individuals have sacrificed so much for that right- as well as others- that we are compelled to offer replica memorabilia from numerous time periods.